eTV is set to air it's new telenova, Ashes to Ashes, with its star-studded cast. Great expectations have piled up for eTV's new 104-part series, Ashes to Ashes, which begins tonight at 8pm. 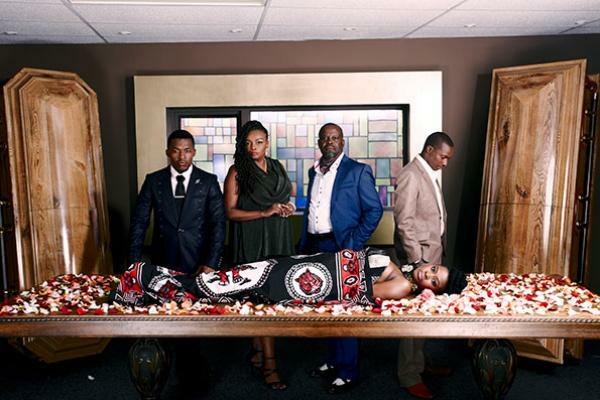 The telenova centers around a family-run funeral parlour business owned by the Namane family. Nambitha Mpumlwana plays the matriach of the family alongside her on-screen husband Patrick Shai. Both actors have both been quoted as being excited about the production and its potential success.
" The story is new and fresh, the characters are well written and working in a highly professional environment makes it all worthwhile." After making his recent debut on the silver screen as the lead actor on South Africa's first dance movie, Hear Me Move, newcomer Nyaniso Dzedze plays Shabangu and Mpumlwana's eldest son. The cast also includes former Generations stars Zenande Mfenyana and Maggie Benedict who played Noluntu and Akhona respectively on the cancelled soapie. Managing Director for Etv Channels Division, Monde Twala, foresees the production being a resounding success. "A lot of work has gone into ensuring that our new Telenovela resonates and adds value to the overall growth of our industry. We have ambitious hopes for this project, the relationships and intrigue will captivate, and entertain viewers across the country," he continued. Ashes to Ashes will air Mondays to Thursdays every night at 8pm.